Serving Temecula, Murrieta, Palm Springs, Riverside, and Other Surrounding Areas. If you live in Temecula, you know how hot it can get here throughout the year. People love Temecula for its central location as well as its incredible vineyards. The warm, sunny climate is perfect for growing grapes, which makes Temecula the wine country of Southern California. While the grapes may love the bright sun and toasty temperatures, it can get a little uncomfortable for people, which is why air conditioning is such a staple in this part of California. Thousands of air conditioners work hard almost daily to maintain comfortable living spaces, and the R&R team is here to keep them running efficiently! As top HVAC contractors in the region, we have years of experience when it comes to keeping air conditioners operating at their best. For your convenience, we offer a full range of air conditioning services here in Temecula, Murrieta, and beyond. Chances are pretty good that your air conditioner is on-duty a majority of the year; it’s just part of living in Southern California. As a result, your air conditioner needs special attention. Our world-class repair services will ensure that your hard-working unit stays in working order. Whether you’re not getting as much cool air as you’re used to or the unit is making odd noises, give us a call. We will move rapidly to understand what is going on and provide a lasting solution. Whether you’re in Temecula, Murrieta, or any of the surrounding communities, our technicians are ready to diagnose and repair your heating and air system. Reach out to us for quality air conditioner repair services today. An air conditioner that gets regular professional attention is far less likely to catastrophically fail or guzzle your electricity dollars. When you turn to R&R Heating and Cooling for air conditioner maintenance services, you’ll get a team that can spot problems early and keep your unit functioning at the top of its game. This is an affordable service you don’t want to go without! Whether your home has never had an air conditioner or your current unit is worn out, we are here to install or replace your system. Our extensive knowledge allows us to provide excellent workmanship in a timely fashion. If you want the confidence of knowing your new air conditioner is truly good to go, you need to call our courteous, punctual team at R&R Heating And Cooling today! We’re available for prompt air conditioner replacements in Murrieta, Temecula, and surrounding communities. 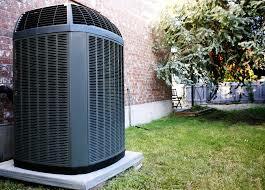 All homes have appliances that drive electricity bills up, but your air conditioner doesn’t have to be one of them. Instead, you should have plenty of cool air available to you at a low cost. If you’re interested in air conditioning that treats your wallet and the environment more kindly, we would love to discuss the possibilities! Contact R&R Heating And Cooling today for all of your air conditioning service needs in Temecula, Murrieta, and throughout Southern California.